On August 5, 1984, Seminole County deputies responded to Riverview Avenue, Sanford, in reference to a deceased female found on the side of the road. The victim was identified as Pamela Cahanes, w/f 25 years old. 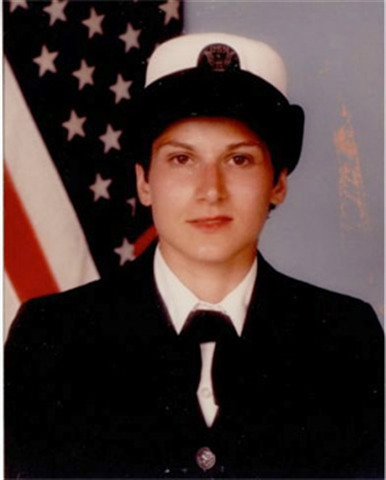 Cahanes was a Navy recruit stationed at the Navy Training Center in Orlando. Cahanes was found partially clothed and the cause of death was determined to be strangulation. She was last seen at the Mariners Club, which was located across the street from the base, the previous evening. Cahanes graduates from her class at the Navy Training Center in Orlando. The Center is now Baldwin Park. Aug. 4, 1984 somewhere between 11:00 a.m. and 3:00 p.m.
Aug. 4, 1984 somewhere between 6:30-7 p.m.
Cahanes is seen with an unidentified male at Navy Training Center. The two are walking on Main Street in front of the base. Aug. 4, 1984 somewhere between 6:00 and 8:00 p.m.
Cahanes and the unidentified male are seen at the Mariner’s Club, a lounge and bar on the Navy Training Center campus. Aug. 4, 1984 8:00 p.m.
Cahanes is allegedly seen at an ABC Liquor Store in Sanford. (Store was in area of 17-92 and 27th Street, but is no longer there). Aug. 5, 1984 1:09 a.m.
A generic receipt left at the crime scene shows a purchase at 1:09 a.m. that investigators believe may be at a Chinese restaurant. Neither the restaurant name nor location is printed on the receipt. Cahanes is believed to have been killed sometime after 1 a.m. She was partially clothed and badly beaten. The cause of death is strangulation. Autopsy results indicate Cahanes had eaten Chinese food before her death. Aug. 5, 1984 7:05 a.m.
Cahanes is found deceased in the front yard of a vacant home located at 2918 Old SR 46 (now Riverview Avenue) in Sanford. Cahanes’ clothes are found close to her body, along with bags of shopping containing purchases from Kmart and the Fashion Square Mall. A Chinese takeout carton, and a receipt, are found nearby. Cahanes had approximately $100 in her pocket. Investigators believe that she was not killed at the location she was found, and that she was likely transported there by a vehicle.